A Swiss-born painter and graphic artist, Paul Klee was born on December 18, 1879, in Munchenbuchsee, Switzerland, into a family of musicians. His personal, often gently humorous works are filled with allusions to dreams, music, and poetry, and are difficult to classify. Primitive art, surrealism, cubism, and children’s art all seem blended into his small-scale, delicate paintings, watercolors, and drawings. Klee grew up in a musical family and was himself a violinist. His childhood love of music was always to remain important in his life and work. From 1898 to 1901, Klee studied in Munich, first with Heinrich Knirr, then at the Kunstakademie under Franz von Stuck. Upon completing his schooling, he traveled to Italy in the first of a series of trips abroad that nourished his visual sensibilities. While in Italy (1901-02), he responded enthusiastically to Early Christian and Byzantine art. He settled in Bern in 1902. Klee’s early works are mostly etchings and pen-and-ink drawings. These combine satirical, grotesque, and surreal elements, and some reveal the influence of Francisco de Goya and James Ensor, both of whom Klee admired. Two of his best-known etchings, dating from 1903, are ‘Virgin in a Tree’ and ‘Two Men Meet, Each Believing the Other to Be of Higher Rank’. Such peculiar, evocative titles are characteristic of Klee, and give his works an added dimension of meaning. A turning point in Klee’s career was his visit to Tunisia with Macke and Louis Molliet in 1914. He was so overwhelmed by the intense light there that he wrote: “Color has taken possession of me; no longer do I have to chase after it, I know that it has hold of me forever. That is the significance of this blessed moment. Color and I are one. I am a painter”. 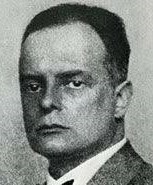 In 1920, a major Klee retrospective was held at the Galerie Hans Goltz, Munich; his Schöpferische Konfession was published; he was also appointed to the faculty of the Bauhaus. Klee taught at the Bauhaus in Weimar from 1921 to 1926 and in Dessau from 1926 to 1931. During his tenure, he was in close contact with other Bauhaus masters, such as Kandinsky and Lyonel Feininger. In 1924, the Blaue Vier, consisting of Lyonel Feininger, Jawlensky, Kandinsky, and Klee, was founded. Among his notable exhibitions of this period were his first in the United States at the Société Anonyme, New York, in 1924; his first major show in Paris the following year at the Galerie Vavin-Raspail; and an exhibition at the Museum of Modern Art, New York, in 1930. Klee went to Düsseldorf to teach at the Akademie in 1931, shortly before the Nazis closed the Bauhaus. Forced by the Nazis to leave his position in Düsseldorf in 1933, Klee settled in Bern the following year. Seventeen of his works were included in the Nazi exhibition of “degenerate art,” Entartete Kunst, in 1937. Major Klee exhibitions took place in Bern and Basel in 1935 and in Zurich in 1940. Klee died on June 29, 1940, in Muralto-Locarno, Switzerland. Website of the Guggenheim Museum, and to Grolier Multimedia Encyclopedia. Compiled by T.Collins.